This is a great photo...captures that dynamic perfectly! Love it. and while I'm on a rant, what's with Presidential Libraries anyway? Dead guys don't read books. I can just imagine Trump's library, a stack of Penthouse mags, some lube and a box of Kleenex? Sad that accolades come after one's death. They'll say the same about Trump when his day comes. I shine and rise at the same time. 2018 has been a rough year for the GOP. First, Senator John McCain and now President Bush 41st. R.I.P. They broke the mold when they made these two. BTW: Don't believe the Democrats when they try to tell you that the dark girl in the McCain family portrait is John's illegitimate daughter. unfortunately they didn't break the mold. Bush procreated George W. I guess on the plus side we can always watch McCain's progeny on the view. 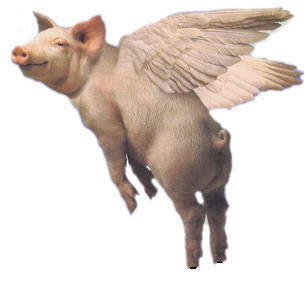 41 made a budget deal that was heralded by the Dems and the media as a superb achievement, only to have the same cheerleaders tear into him for breaking his promise come the election time- even though, the Democratic Speaker of the House gave him his word not to use it against him. Same with McCain, a bipartisan hero who got savaged when playing a good Republican. I would never underestimate the Democrats but the main factor in Bush 41's defeat was H. Ross Perot. He dropped out and should have stayed out but re-entered the race. The Dems really sunk to a new low when they claimed the dark girl in the McCain family portrait is John's illegitimate daughter. Uh, get your facts straight, that wasn't the Democrats who said that, it was the Bush Republicans during the primaries in for the 2000 election. the MCain “fathered an illegitimate child” smear campaign was orchestrated by Karl Rove (GWB’s political consultant and future deputy Chief of Staff) during the Primaries when they were headed to South Carolina. I was multi-tasking while watching CNN at the same time and honestly thought that smear was initiated by the Democrats. Thank you and the Captain for the clarification. Back to President Bush and Senator McCain. Both were U.S. Navy aviators. I can visualize them sitting in their cockpits waiting for the carrier to turn into the wind and then taking off from the flight deck into the wild blue yonder. Dukakis was a weak candidate, period. And that was the perception regardless of the polls. Bush was running like an incumbent following an extremely popular and successful President. 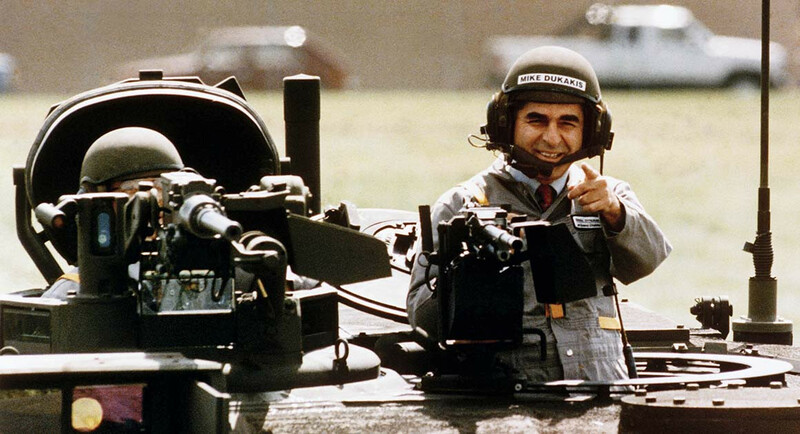 Dukakis did more damage to his cause by driving a tank and trying to out macho a navy pilot with a Navy Cross, former CIA Director and 8 years Vice President than anything Atwater could come up with. The problem in here is that, you people, are either too young to remember or your memories are shorter than your turds. Last edited by jcpro; 12-09-2018 at 06:10 PM. Dukakis was a weak candidate, period. And that was the perception regardless of the polls. Bush was running like an incumbent following an extremely popular and successful President. Dukakis did more damage to his cause by driving a tank and trying to out macho a navy pilot with a Navy Cross, former CIA Director and 8 years Vice President than anything Atwater could come up with. The problem in here is that, you people, are either to young to remember or your memories are shorter than your turds. LOL. I guess if we’re too young, then perhaps you’re suffering from a “Senior Moment” (a few of them!). You’re conveniently forgetting that HW had to fight long and hard against his own “wimp” image. The “Willie Horton” whisper campaign is regarded as one of the greatest and most successful whisper/smear campaign in US political history. It completely shifted momentum to Bush and once that shift happened nothing Dukakis did could correct it, including the ridiculous tank photo op - which you have forgotten was in Sept, months AFTER “Willie Horton”. Atwater was evil, but an evil genius. LOL, indeed. Nothing was going to save Dukakis from a massive loss that he actually sustained. He was perceived as weak on crime and an ideologue not flexible enough for the office representing the whole country. His answer regarding the death penalty during the debate all but buried any chance at beating Bush, who was always viewed as boring but competent and experienced. The outcome was never in doubt, despite the summer polls that are not worth a damn. Atwater or not Dukakis had no chance. The man had a lot of class and was good in his personal life. However, his and Reagan's policies are responsible for most of the horrors that people in third worlds are suffering today. He is responsible for the deaths of thousands if not millions of people. Useless wars such as the Iraq war, since he was the driving force behind the appointment of Sadam Hussein when he was head of the CIA. Like they say the road to hell is paved with good intentions.